The focus of this study is strictly on the league and team websites: how they promote and integrate social media on the website. All findings are based on research of team sites on April 23-24, 2012. • Very little overall integration of social media on the league site. Small universal icon links (Facebook, Google+, Twitter) top right; and Follow On links above the bottom footer for Facebook and Twitter. • From “Fan” main nav tab there are links for the NHL accounts on Facebook, Twitter, YouTube; and a NHL Twitter Lists tab for users to subscribe as a fan on specific team lists from the main NHL account. • Confusing that the top header includes Google+, the bottom doesn’t, and the drop down tab includes YouTube, but not Google+. Seems all over all of the place, and nothing at all unique in activation of social media. • There is a huge opportunity for the league to develop its own league-wide social media hub (directory, network, etc. ), talk about a great built-in content example. • All team sites have the same header: linking to other team/affiliate/player sites, ad space, and site registration login. • Teams seem to be restricted in the amount of space they have for content, or aren’t familiar enough with the content admin system. Majority are using 35% of the page template for ads (ie right column), which hurts the content display options. 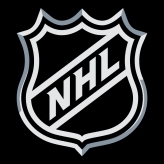 • NHL sets the main navigation section naming scheme: Tickets, Team, Schedule, Stats, News, Multimedia, Fan Zone, Community, and Shop. It was interesting to see where teams thought their social media channels should be listed – most landed under Fan Zone, but some also used News and Multimedia. At this point in the game it might be a good idea to allow teams to the autonomy to change a section name or add one for Social, Social Media, Social Media Central, Social Hub, etc. – shouldn’t have to be a treasure hunt. *Reminder these are activations promoted on their team site. From our Pinterest findings we know that at least 19 teams have setup accounts, but only six teams promoted it on their website. • Chicago starts with Facebook and Twitter on their Stay Connected bar, but puts Pinerest last after links for e-news, mobile, and their blog. • Facebook or Twitter was first or second for all 18 teams. • Washington was the only team to include a Linkedin icon, and the only team to start with the Google+ icon. • Boston got a lot of pub for their “Digital Entertainment Network” page, but put that icon link last in their row. • Minnesota and Toronto were the only two teams to include a Foursquare icon. • Toronto was the only team to include an Instagram icon. • Kind of shocking only 18 of the 30 teams included this, literally dropping the puck by not doing this. It’s a no-brainer. Side-note: don’t recommending hiding these links on the bottom or your site even it is universal – there is so much content on these templates they just get lost by the time a user gets down to the bottom of the pages. • Interesting to see how many teams actually had channels like Pinterest activated, but then didn’t promote it within their site – doesn’t make any sense at all. • Another way to help promote your channels is to move up the Social Media sub-section tab to the first spot. For example under “Fan Zone” on Florida’s site the first option is “Social Networks”. There’s no rule you have to keep these in alphabetical order, so move it up to the top spot. • Browsing through the sites it seemed like there was a mandate from the league office to include the “Stay Connected” phrase as a precursor to the social media links, but credit to the Detroit Red Wings for changing theirs up to read: “Stay Connected with the Detroit Red Wings 24/7/365”. They use this in their universal header, and cut it down to “Stay Connected 24/7/365” as a sub-section tab. Kings also did a good job using the name “LA Kings 365”. Only problem is both of these sit in the Multimedia section – again time for the league to give teams more freedom on section naming schemes. • Edmonton was one team that actually did change up their section names to include: “Interactive” and “Octane” (Cheerleader Squad), but unfortunately they include no social media related links. • The Caps were the only team to include a universal icon promoting their account, but good job by all four teams of integrating awareness for their accounts. Obviously this channel won’t be of interest to every fan of your team, but great way to engage the more business-oriented portion of the fan base. • Credit to the Bruins for branding this page “DEN”, because there are other teams doing the exact same thing, they just didn’t have the branding or press release to promote it (ie see the Toronto Maple Leaf’s “Leafs Nation Everywhere”. The DEN is essentially a directory with feeds and callouts, but it’s also missing some individual elements that other teams used that could really take it to another level. Great start nonetheless. • Make no mistake, credit to the Bruins on creating a conversation and making DEN a big deal. Every team should have a similar directory or hub setup, and also take the time like Boston did to include a creative housing for the content. • Nice job by the Habs on this – great way to recognize your fans and engage them through social media. • The Islanders make a strong effort to help educate their fans on the ins and outs of social media by including these three pages under the “Islanders Social Network” sub-section. Even though it seems everyone claims to be a social media expert or guru, this is a really smart move by the Islanders. Great opportunity to educate fans on the mediums you want to take advantage of. • As mentioned above, many teams are showcasing individual Twitter and Facebook accounts and we found that many teams also included a Twitter feed for their main account – all good practices. The Coyotes do a nice job of categorizing accounts into Twitter feeds for the Main Team Account, Broadcasters, and Players. • Didn’t get the PR that the Bruin’s DEN had, but the Pens do a good job with their Hub. Similar to the DEN there are definitely things that are missing, but at the same time the Pens include features that no other teams do: Facebook & Twitter Profile Pictures, Mobile Wallpapers, and Social Media How-Tos. Some of their SM tips include: Share a Pens article on Twitter, Share a video/article on Facebook, Follow the Pens on Pinterest. They (and all of the other teams) missed an opportunity to include some Facebook Timeline cover photos downloads, but they did include a Twitter background for download. They’re definitely on the right path. • Similar to the above Account Listings practice, the Lightning go a step further and include feeds from all their players. • Most of the playoff teams include a splash page with ticket info, but only the Maple Leafs feature a splash that hits your right from the start with logo links for their accounts on: Twitter, Facebook, and YouTube. Great attention to detail by the Leafs. • Really like what the Leafs do with their universal header by including links for the following channels: Facebook, Twitter, YouTube, Google+, Pinterest, FourSquare, and Instagram. It’s visible on every page and they promote ALL their accounts. Great job! • Hands down the Maple Leafs have done the best job of social media integration on their team site. They hit you early with the splash page, remind you on every single page of the site with visible links, include a really well done hub, and they lead all NHL teams with seven channel activations. • Good job by the Caps by providing a quick overview of what a Hashtag is, and also a listing of all the game night tags they’ll use (ie Pittsburgh = #CapsPens). • Vancouver also had a page promoting one of their Tweet-Ups, but Winnipeg includes it as a sub-section. They provide an overview of what it is and what happens at them. Wish they would have treated this as more of a calendar style – post previous dates/places and any promo winners (see Vancouver’s page), but they’re off to a good start just need to make sure it’s frequently updated. • Four teams included it on their site. Honestly don’t have enough information if it’s a true value add for your website. It’s universal so that’s a plus, and each team included some or all of their channels (ie Twitter and Facebook feed, YouTube and Pinterest link out). Also no idea on how much if anything it costs. Fact that only 4 out of 30 teams are using it is telling though. • Noticed that the Kings and Caps promoted playlists that they had setup. The Kings are off to a good start with this by including playlists from some of their players. This has even further potential though and we’re looking forward to seeing which Team will raise the bar, even possibly partnering with a label. • The Islanders were the only team to include promotion of their Flickr channel. In some circles it’s probably now viewed as a dinosaur, but props to the Islanders for keeping it updated and including promotion of it on their website. • The Bruins and Caps are the only two teams to include promotion of their Tumblr channels, and they both included the icon in their universal links. They both do a good job, but we’re giving the edge to the Caps: they’ve branded it “Capitals Overtime”, integrated a cool theme, and also include links to three of their other social media channels: Facebook, Twitter, and Google+. A lot of social media activation comes down to manpower and content strategy so great job by both teams for being first movers with this channel. • Include “Ducks Social” Twitter feed on home page halfway down. • Bottom of HP includes “Stay Connected” with icon link for Twitter and Facebook. • Universal footer Meebo tool bar includes Facebook and Twitter clickable feeds. • Under “News” nav tab include subs for Facebook, Twitter, and Stay Connected which goes to a page with icon links for Facebook, Twitter, and YouTube. • Bottom universal footer that includes links for: Facebook, Twitter, Tumblr, Bruins DEN. • Under “News” main tab includes sub for Social Media with links for: Facebook, Tumblr, Twitter. • Under “Multimedia” main tab includes sub for Bruins DEN. • Under “Fan Zone” main tab includes sub for B-Connected which includes links for Twitter, Facebook, Tumblr. • Bruins DEN page includes: Top SM links bar (Facebook, Twitter, Tumblr, Pinterest, Google+); Feeds for Instagram, Twitter, Facebook; and graphical callouts for Pinterest and Google+. • No universal social media icon links. • Under “Fan Zone” main tab includes a sub for Social Networks with links for Facebook, Twitter, YouTube, Linkedin, and the mascot Twitter. • No social media links on the home page. • “Connected” main nav tab includes sub for C of Red Social Community: C of Red Fan Zone – myspace type; Flame Social – Twitter feeds; Facebook & Twitter links. 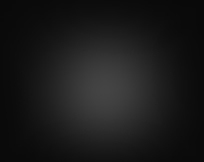 • Includes universal top icon links for YouTube, Facebook, Twitter, but they are very hard to see. • Home page includes a Twitter feed, and Facebook Like callout. • “Multimedia” main nav tab includes subs for Social Media (Social Media Central, Facebook, Twitter) and YouTube. • Social Media Central page includes links for individual Facebook and Twitter accounts. • Universal “Stay Connected” top toolbar includes links for Facebook & Twitter. • Under “Fan Zone” tab, second to last sub-tab named Social Media includes links for Facebook, Google+, Pinterst, Twitter, Twitter Players List, and YouTube. • Twitter page includes instruction on how to setup an account & a feed module. • Universal icon links for Twitter, Google+, and Facebook. • Under “Fan Zone” main tab they include subs for: Twitter, Facebook, Google+. • Includes Facebook & Twitter feeds on the home page. • Under “Fan Zone” main tab they include a Social Media sub in the first spot = links for Facebook, Twitter and mascot Facebook. • Universal callout middle of the page “Follow the Stars On:” icon links for Facebook, Twitter, Google+. • Include a Facebook Like callout in an ad slot on most pages. • Under “Fan Zone” main tab they include a Social Media sub with links for Twitter, Facebook, and Student Rush promo on Facebook. • Top universal callout to “Stay Connected With The Detroit Red Wings 24/7/365 and icon links for Twitter, Facebook, YouTube. Also include a smaller callout on the home page near the bottom. • Under “Multimedia” tab include a Stay Connected 24/7/365 sub, but page only has icon links. • Includes a “Get Connected” bar on the home page with icon links for YouTube, Facebook, Twitter, Pinterest. Amazingly the bar is not universal. • Under “Interactive” they have a sub for Oilers on YouTube. Amazingly no other sm links. • Bottom universal Footer includes text link for Twitter, Facebook, Youtube – not very noticeable. • Home page includes Twitter feed, and Facebook Like callout. • Under “Fan Zone” they have a Social Networks sub in the first spot – page with links to Facebook, Twitter, Youtube accounts. • Include a top universal bar that includes ioncs for: Facebook Like, Follow Twitter, Follow Foursquare, and Google+. • Universal footer includes links for Twitter and Facebook. • Home page includes graphical callouts for Twitter and Facebook. • Under “Multimedia” they have a sub for LA Kings 365 with graphic links for: Facebook (3 pages), Twitter (2 pages), Linkedin. • Top universal icon links for: Facebook, Twitter, Foursquare. • Under “Fan Zone” main tab they include a sub for Social Media with links for: Twitter, Facebook, Foursquare. • Bottom universal Footer includes text link for Twitter, Facebook – not very noticeable. • Under “Fan Zone” main tab they include a sub links for Facebook, Habs on Twitter, Pinterest, Social Media Fan of the Day. • Social Media Fan of the Day page includes the person’s profile, photo. • Home page includes a “Follow Us on Facebook” graphical callout near the bottom. • Under “Fan Zone” main tab includes a sub for Social Media Central in first spot and one for Facebook down further. • Social Media Central page includes: Facebook and Twitter Feeds, and a graphical callout for Foursquare. Also includes Twitter links for: Preds, and Preds Personalities/Broadcasters. • Top universal bar includes Twitter Follow and Facebook Like buttons. • Majority of pages include “Connect With Us” callout with Twitter Follow & Facebook Like buttons. • Under “Fan Zone” main tab includes subs for Facebook and Twitter. • Top universal bar that includes “Stay Connected” links for Facebook and Twitter. • Home page includes Twitter feed and Facebook Like callout. • Under “Fan Zone” main tab includes sub for Islanders Social Network with links for: Get Connected, Twitter, Facebook. • Get Connected page includes: Twitter feed; Facebook Twitter account links; and More Connections (YouTube, Flickr, Foursquare). The graphic header on the page includes logos for Pinterest and Google+, but there are no links for those channels on the page. • Islanders Social Network also includes links for: What’s a Hashtag?, What’s a QR Code?, and Social media tips. • Home page includes graphical callouts for Twitter and Facebook, and a Twitter feed. • Under “Fan Zone” main tab includes subs for: Stay Connected, Twitter and Facebook. • Stay Connected page includes: Facebook Like callout, Twitter and Instagram Feeds, and NYR Personalities on Twitter. • Includes universal footer with “Follow us on:” icon links for Facebook, Twitter, and YouTube. • Text nav footer also includes Twitter and Facebook links. • Home page includes “Sens Daily” feature with icon links for Twitter and Facebook. • Under “News” main tab includes subs for: Ottawa Senators on Twitter & Ottawa Senators on Facebook – which includes account lists. • Under “Fan Zone” main tab includes sub for Sens Social – which includes a filtered Twitter feed. • Do not include any universal social media icon links. • Home page has a callout with icon links for Facebook and Twitter, and also a Twitter feed. • Under “Multimedia” main tab includes subs for Twitter, Facebook and Linkedin. • Includes a universal Meebo footer bar with feeds for Facebook and Twitter. • Includes a Facebook Like callout in an ad post on most pages. • Under “Fan Zone” main tab includes a sub for Coyotes on Twitter, Coyotes on Facebook in first two slots. • Coyotes on Twitter breaks out feeds for: Team Account, Broadcasters, and Players. • Includes a universal top bar for “Stay Connected” that includes Facebook Like and Twitter Follow buttons. • Includes a universal bottom Meebo footer bar that includes feeds for Facebook, Twitter, and a Pinterst link. • Under “Fan Zone” main tab includes sub for Pens Social Networking Sites in first spot with following links: Social Media Hub, Facebook, Twitter, Profile Pics & Downloads. • Social Media Hub page includes: Facebook and Twitter feeds; Twitter account listing; Facebook and Twitter profile pics; Mobile wallpapers; and Social Media How-Tos. • Includes a graphic callout on most pages for Sharks on Facebook & Sharks on Twitter (zero creativity). • Under “Fan Zone” main tab includes subs for Fan Page (Twitter and Facebook feeds), Sharks on Twitter, Sharks on Facebook. • Includes a universal “Stay Connected to Your Blues” top bar that includes icon links for: Facebook, Twitter, Google+, YouTube. • Under “Multimedia” main tab includes a sub for YouTube. • Under “Fan Zone” main tab includes a sub for Social Networks in the first spot. • Social Networks page includes links for Official Accounts (Team, Players & Coaches, Broadcasters & More) ; Twitter feed, Facebook Like callout. • Includes a universal top bar with social media icon links for Facebook and Twitter. • Includes a universal dropdown callout for Twitter and Facebook feeds. • Under “Multimedia” main tab includes a sub for YouTube channel. • Under “Fan Zone” main tab includes sub for Official Team Twitter Accounts – which includes feeds from 21 accounts. • Includes a splash page with social media graphic links for Twitter, Facebook, and YouTube. • Home page includes a “Leafs Nation” graphical callout with social media icon links for Facebook, Twitter, Youtube, Google+, Pinterest, and Instagram. • Home page includes a graphical callout for Facebook and Twitter feed. • Under “Fan Zone” main tab includes subs for: Leafs Nation Everywhere, Leafs on Twitter, Follow: Maple Leafs on Twitter, and Maple Leafs on Facebook. • Leafs Nation Everywhere page includes: YouTube feed, graphical callouts for Foursquare, Pinterest, Google+, and Players & Staff on Twitter; Feeds for Instagram, Twitter, and Facebook. • Leafs on Twitter page includes: account listings, Facebook feed callout, Twitter feed. • Includes universal “Stay Connected” bar up top with icon links for Facebook and Twitter. • Includes universal footer for Follow Us On: Facebook and Twitter. • Under “Fan Zone” main tab also includes Social Media sub with links for Canucks Social (DEQQ board), Twitter and Facebook. • Includes a universal top “Stay Connected” bar with icon links for: Google+, Facebook, Twitter, Linkedin, and Tumblr. • Home page includes a callout for Capitals Overtime – Tumblr page. • Under “Fan Zone” main tab includes a sub for Social Networks which includes: Facebook Fan Pages, Twitter Accounts, Game Night Hash Tags, Location-based, Business, Music – which all link to one page with related content. • Game Night Hash Tags page includes a list of each opponent, and a profile on Hash Tags. • Under “Fan Zone” main tab include subs for: Jets on Twitter, Winnipeg Jets Tweet-Ups, Jets on Facebook, and Jets Social. • Jets on Twitter page includes account listings. • Tweet-Ups page includes event info and FAQ. • Jets Social includes a Deqq board.